San Diego’s water future: who has the helm? As noted in yesterday’s water rates story, the main supplier for most of San Diego County’s water is the Metropolitan Water District of Southern California (MWD) and it holds great power when it comes to the cost and reliability of our water supply. So when MWD announced a stakeholder forum to examine the 2010 Integrated Resources Plan (IRP) Update there were naturally going to be many local water professionals in attendance. The IRP makes major changes to MWD’s strategy for water reliability through the year 2035, including a bold plan to create a large storage “buffer” to serve as a backup supply against virtually any scenario. There were about 75-100 individuals in attendance. The morning session was delivered in segments with a brief question period after each presenter finished. After lunch it was time for the Q&A and comments from the audience. The public comment period was moderated by Paul Brown who did an excellent job of managing the process, facilitating discussion, drawing out comments, and summarizing/recapping statements being made. Since the plan had been available online well in advance of the meeting, it was apparent that most people there had already seen it, processed their personal reactions, and had thoroughly analyzed it. That preparation showed in the comments which were delivered very diplomatically. You can view the plan at MWD’s IRP page. Mark Weston, General Manager of Helix Water District pointed out that local water agencies are much better at mobilizing conservation efforts than the Met dictating from a distance. He suggested the Met might be less involved in conservation programs and focus more on reliability of imported water. Other individuals posed questions that tended toward two themes: MWD’s financial transparency or lack thereof (“Exactly how does Met plan to allocate or distribute supply project costs?”) and authoritarian management style (“It seems like Met is always dictating to us”). I wasn’t counting but numerous individuals wanted to know about costs of projects being contemplated by MWD. One gentleman rose to complain about water shortages caused by population growth and rapid development. Chris Cate from the San Diego County Taxpayers Association (SDCTA) said he was unable to find a database of every project contemplated across all service areas; same for a comprehensive list of assumptions used for MWD ‘buffer’ projects: He said “the cost information provided in the Draft IRP is wholly inadequate to form the basis of decision-making by the MWD Board of Directors.” SDCTA also submitted written comments in this letter for the Chairman of the MWD Board. The feedback most representative of the general sentiment in the room was undoubtedly given by Dennis Cushman, Assistant General Manager at San Diego County Water Authority. His statement is below. For your convenience, here’s the 1994 Blue Ribbon Report that he refers to. Thanks to Mr. Cushman and to SDCTA for providing me with a copy of their statement. 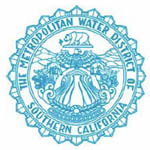 This entry was posted on August 11, 2010 at 12:09 am	and is filed under Metropolitan Water District of Southern California, Water. 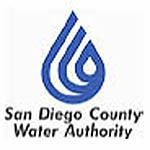 Tagged: Integrated Water Resources Plan (IRP) Update, San Diego County Taxpayers Association, San Diego County Water Authority. You can follow any responses to this entry through the RSS 2.0 feed. You can leave a response, or trackback from your own site.